Professional upholstery cleaning starts with choosing the right company. Fresh Start Upholstery Cleaning is the highest rated professional upholstery cleaning company in South Jersey. We clean utilizing truck-mounted steam cleaning equipment that deep cleans carpet. Our process removes pet odor, pet hair, body oils, dirt, grease, ink, urine and bacteria from your furniture. Our deep clean steam cleaning kills germs and reduces the airborne bacteria that causes allergies and colds. Our fast drying process is usually within 3-5 hours. Professional carpet cleaning starts with a professional company. 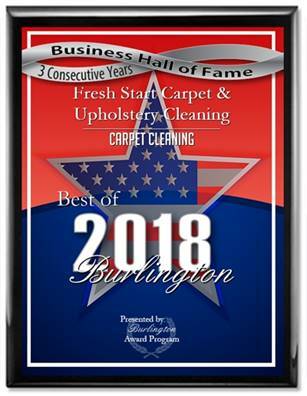 Fresh Start Carpet Cleaning is a family and veteran owned business since 1999. We offer truck-mounted carpet cleaning that deep cleans carpet with steam and fresh water. Our fast drying, deep cleaning process removes: pet hair, urine and odor it also kills bacteria and reduces airborne bacteria that causes allergies and colds. We use pet safe and child safe detergents and we specialize in pet odor and pet stain removal as well as Scotch Guard applications on all types of carpet. We are a 5 star carpet cleaning company with numerous reviews on Google and Yelp. Fresh Start Carpet & Upholstery Cleaning of Cherry Hill is Southern NJ and Philadelphia’s best choice for carpet & upholstery cleaning. Fresh Start specializes in pet odor removal, pet stain removal, expert spot removal and Scotch Guard applications. Fresh start Carpet Cleaning is a family owned and operated business since 1999. Our cleaning process is state of the art, we utilize the best truck-mounted carpet cleaning equipment on the market. Our technicians are thoroughly trained and polite. 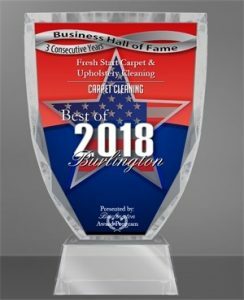 We’re a 5 star rated professional carpet cleaning company that has been voted best in Burlington for carpet cleaning 3 consecutive years. Our prices are some of the most competitive on the market and we’ll match any competitive price from another reputable company. Tile & grout cleaning can be tedious work. Let the professionals tackle your toughest tile and grout cleaning projects while you relax. Fresh start’s truck mounted tile & grout cleaning process cleans with steam, the steam deep cleans and emulsifies the dirt in your tile removing years of built up grime, bacteria, germs and odor. After the deep steam cleaning process is completed you’ll notice the original color of your tile will come back to life. Fresh Start Carpet Cleaning is New Jersey’s 5 star rated professional carpet & upholstery cleaning company. We specialize in truck-mounted hot water steam extraction (steam cleaning). Our deep cleaning process removes, pet odor, pet stains, body oils, pet hair, germs and bacteria from your carpet leaving it fresh and soft after cleaning. Our powerful truck mounted system dries your carpet within 3-5 hours. Carpet cleaning every 6 months helps reduce allergies in the home as well as colds brought on by bacteria. Fresh Start also specializes in Scotch Guard applications. 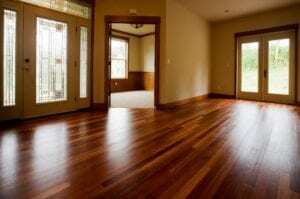 Professional hardwood floor cleaning by Fresh Start will bring those dull floors back to life. 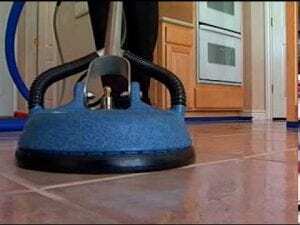 We deep clean your wood floors with our Dirt Dragon hardwood floor cleaning machine. Our cleaning process removes deeply embedded dirt, pet hair and wax buildup from your floors. After the cleaning is completed we apply a coat of wax to your floors. Our fast drying process ensures that you will be able to walk on your floors within a few hours. Maintaining clean upholstery in the home can reduce airborne allergies and colds due to bacteria, pet dander and body oils that collect in the fabric of your upholstery. Fresh Start’s truck mounted deep steam cleaning process removes pet odor, pet stains, body oils, bacteria and germs from your couches, loveseats, chairs and other fine upholstered items. Our upholstery cleaning process is fast drying usually within 3-5 hours. We also specialize in Scotch Guard applications. We’ve been a family owned and operated business since 1999 serving Southern NJ and Philadelphia. Clean tile & Grout starts at Fresh Start Tile & Grout Cleaning. We clean using extremely hot steam combined with high water pressure. This combination emulsifies the dirt in your tile & grout. Our deep cleaning process cleans, sanitizes and also brings back the original color of your tile. We clean residential tile and commercial tile. We also specialize in sealer applications. Fresh Start Carpet Cleaning is your best source for fine area rug cleaning in New Jersey and the Philadelphia regions. We clean all types of rugs from Oriental, Machine-made Rugs, Area Rugs, Wool Rugs, Silk Rugs, Synthetic Rugs, Art Silk Rugs, Handmade Rugs and Persian Rugs. Our technicians will inspect and pickup your rugs, bring them to our state of the art cleaning plant and clean t hem at our facility. Fresh Start specializes in pet odor and pet urine removal. Our cleaning detergents are pet and child safe and we are experts in stain removal. We also perform rug repairs such as: fringe repair, binding, replace backing and re-weaving. We serve all of Southern New Jersey and areas in Central New Jersey such as: Ringoes, Princeton, Princeton Junction, Flemington, Lakewood, and Clifton, NJ. After your rugs are cleaned we’ll deliver them to your home neatly wrapped in plastic, cleaned and deodorized. 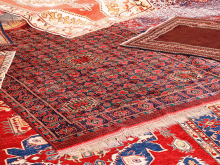 We’ll lay your rugs out for you in their original place or another area of your choice.